For turbine pump manufacturers and hydro energy producers in need for verification of performance of hydraulic machines by an independent laboratory, SuperGrid Institute offers to perform an array of hydraulic test on Francis turbine, storage pump and reversible pump turbines. Tests are carried out on our experimental test platform in the CREMHyG laboratory in Grenoble, that allows to test reversible pumps in four quadrants to deliver efficiency, cavitation, or dynamical behavior data within IEC 60193 standard requirements. 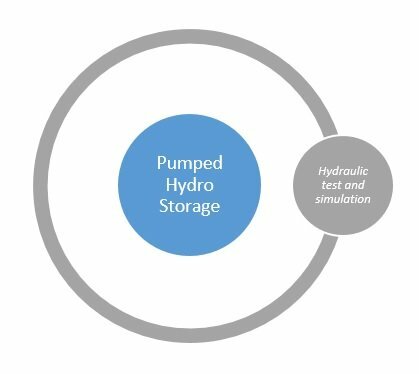 SuperGrid Institute’s offer also includes hydraulic simulations to allow for enhanced interpretation of the measurements and proposals for possible design improvements. For further information on services relating to Hydraulic testing, please contact us.